The Christmas Dinner meal is always different for us. It’s more or less our free day of deciding which great meal we all want. No traditions here. This year, I decided the theme would be local. All the items on this plate were from the region. Beginning with the centerpiece for the meal was a nice roast from one of our local, organic meat farmers. 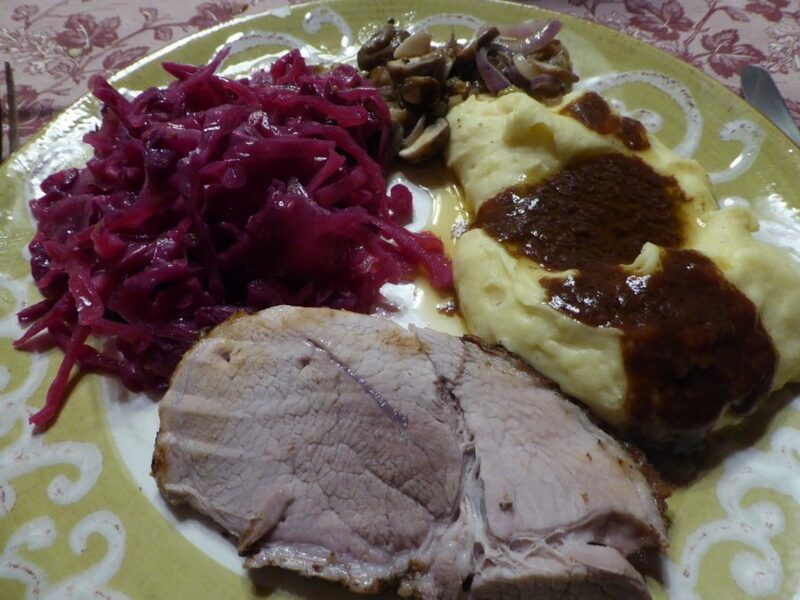 To be accompanied with a nice sauteed red cabbage with vinegar and sugar, sauteed mushrooms, mashed potatoes with the drippings for a rich gravy. Without pre-ordering my meat, I was taking a bit of a chance. I went to two local farmers, and was lucky to find the perfect roast at my final stop. 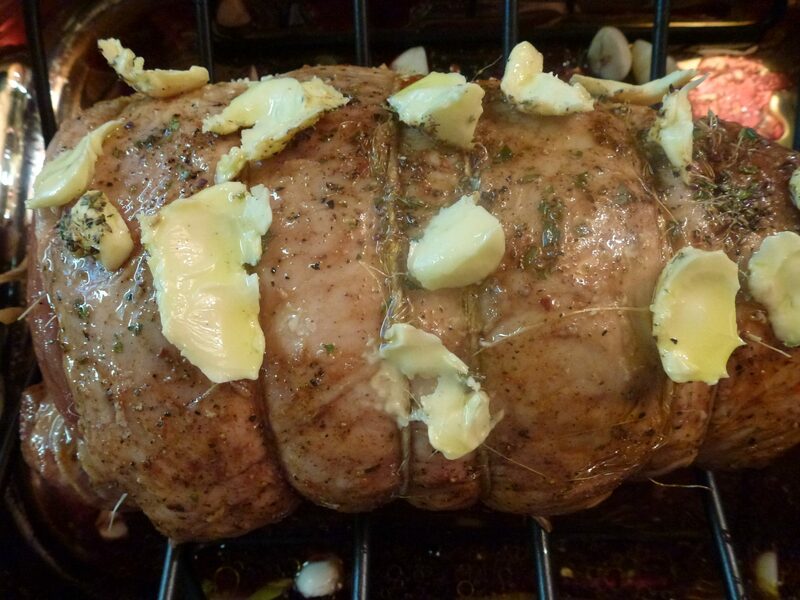 I can’t tell you how long its been since I’ve made a nice pork roast. This was a fresh, local, happy pig who would be honored to be on my menu. You can take your time in prepping your roast, or not. I personally enjoy the steps involved with pulling the simple, yet tasty ingredients to harmonize with the meat. My daughter actually decided to handle this job. 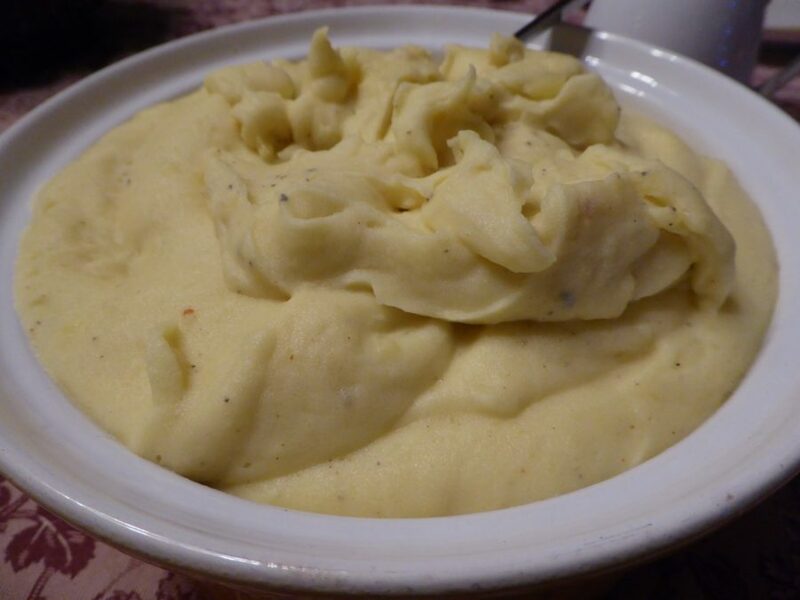 By using bay leaves, butter, garlic, salt, pepper and olive oil, she managed a brilliant outcome. I put red wine in the base of the roasting pan, along with a bit of bouillon to simmer all the drippings together to later make a nice gravy. using the proper potato for the job is key. these were charlottes, and were insanely creamy and smooth. Best dish, hands down to accompany meat. 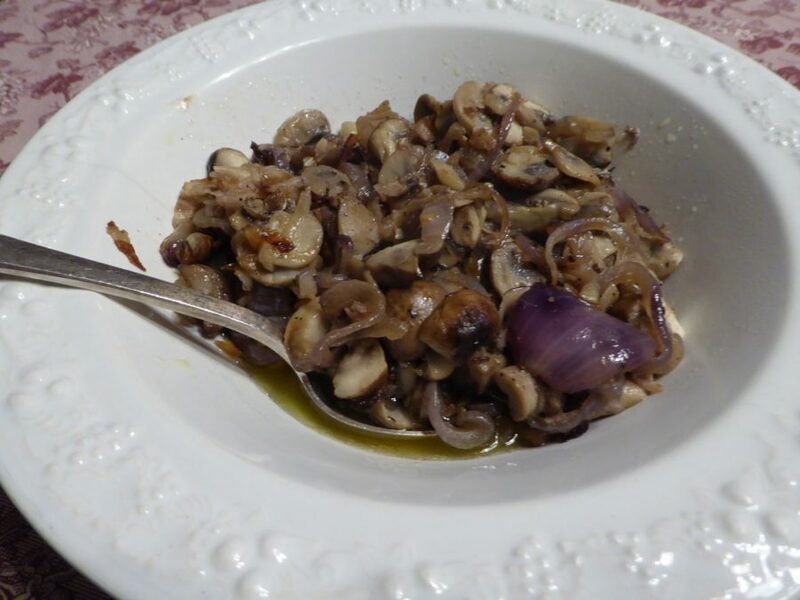 slice onions, garlic and lots of mushrooms. saute for about 10 min. keep lid on and let it simmer.